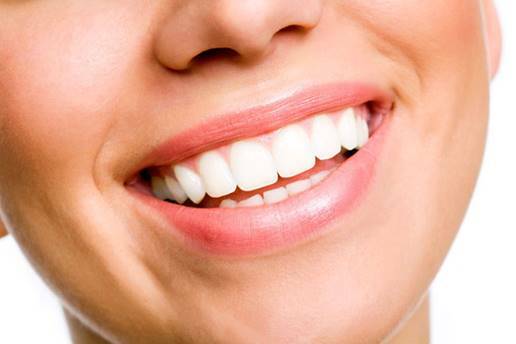 Cosmetic dentistry is used to improve the appearance of the teeth and mouth. 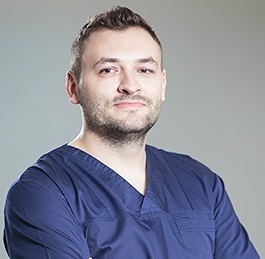 If your smile needs a makeover, our team of dentists in Romania can provide various cosmetic dentistry procedures at affordable prices. A beautiful smile can be the most valuable business card. We can help you achieve results fast and by benefiting from the highest standard of care. Teeth whitening is the most common procedure for improving the overall aspect of an individual’s teeth. It can be done using simple techniques, like special whitening gels, or by using more advanced technologies, like light energy. The duration of the treatment depends on the desired shade of white. Dental veneers are porcelain or composite laminates that are placed on the surface of the tooth to hide small cavities, discoloration, cracks in the email or gaps in the teeth and abnormal positioning. This procedure is also an option if teeth whitening did not lead to the desired results. Dental crowns are the best solution for replacing missing teeth. 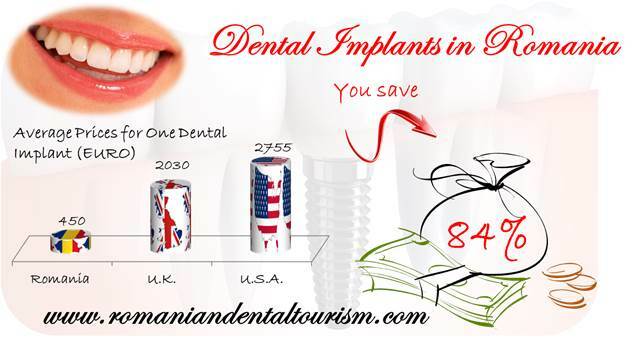 Our dentists in Romania can provide quality dental implant services. Tooth reshaping is used to correct the shape, length or position of one or more teeth. Additionally, dentists can also perform procedures on the gums to restructure them and the manner in which they cover the teeth. Our orthodontists can provide orthodontic treatments if you are in needs of a more complex treatment plan to achieve the best cosmetic results. Orthodontic treatments involve the use of braces or other devices and the patient must follow a comprehensive treatment plan. Modern technology allows us to use the best possible materials that replicate the exact colour, luminosity and aspect of real teeth. Our dentists use the best materials available and will work together with you to achieve amazing results. Cosmetic dentistry offers many options for people who want to improve their smile. Our dentists will offer you a complete dental treatment plan and will discuss with you the best treatment options of you want to reshape, reconstruct or change the aspect of your teeth. Contact our office in Romania to plan the perfect trip to the Carpathian garden that will combine high quality dental services with a relaxing holiday.